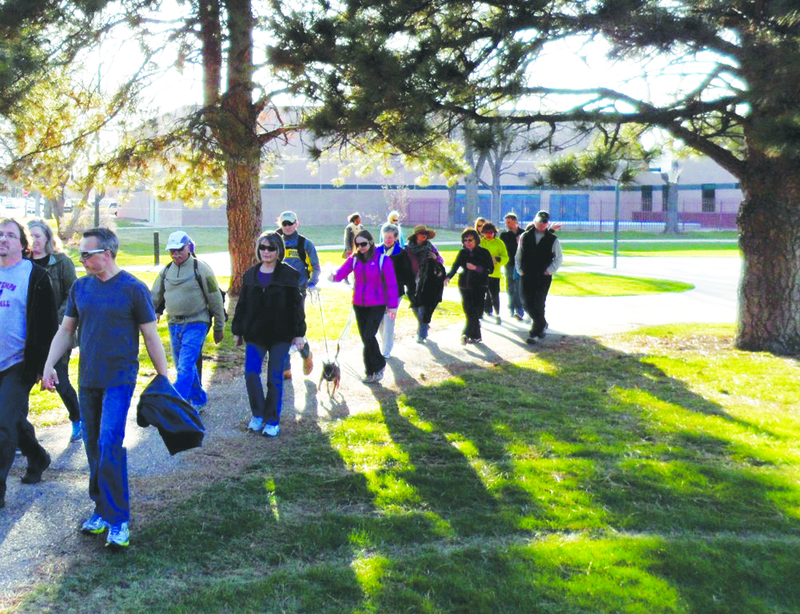 Participants in a Walk2Connect event explore Park Hill by foot. The inaugural NE Walk Fest, organized by Walk2Connect and the Stapleton Transportation Management Association, is a free event taking place from 9am-1pm on August 24 from Holly Square that promotes destination-oriented walking in Park Hill and Stapleton. Do you value improving neighborhood connection and safety, promoting healthier lifestyles and creating awareness for street improvements benefiting pedestrian accessibility? If so, please save the date for our quickly approaching NE Walk Fest: Saturday, August 24 from 9am to 1pm. The Stapleton Transportation Management Association and Walk2Connect have partnered to create a FREE event that promotes destination oriented walking behavior in Park Hill and Stapleton. We will be encouraging participants to walk a marked and well-supported 1.5 to 2 hour walking route moving through North Park Hill, North East Park Hill and into some of Stapleton. Participants are not required to walk the entire route and there will be plenty of options to cut the route short and loop back to the starting point. We believe that the NE Walk Fest will encourage increased walking behavior to and from local businesses, public service centers, public transportation stops and recreation centers. Our event will officially kick-off from Holly Square in Northeast Park Hill (33rd and Holly). Check-in will open at 8am and walking will begin at 9am. We will have many scheduled and themed walking trips taking place throughout the day so please continue checking our website (newalkfest.com) and Facebook Page (NE Walk Fest) for updates. Some tentative themed walking trips are: Walk with City Councilmen Chris Herndon and Albus Brooks, Herbal Walk, Walk with a Local Historian, Architecture Walk and more. We will also have a fun chalk art program happening at Holly Square for the entirety of the event. All participants must register! You can do so by going to our registration page at newalkfest.com/register. We need volunteers! We’ll have bagels, coffee and free event t-shirts. Sign up at newalkfest.com/volunteer. Community organization or local business? Want to get involved? Please email Jonathon Stalls at: jonathon@walk2connect.com. Questions? Email Jonathon Stalls at: jonathon@walk2connect.com.